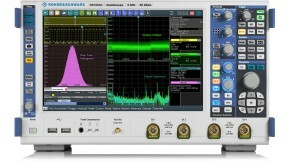 Capture and analyze pulsed and burst signals over a long period with up to 200 Msample standard acquisition memory. Capture and analyze pulsed and burst signals over a long period with up to 20 Msample standard acquisition memory. 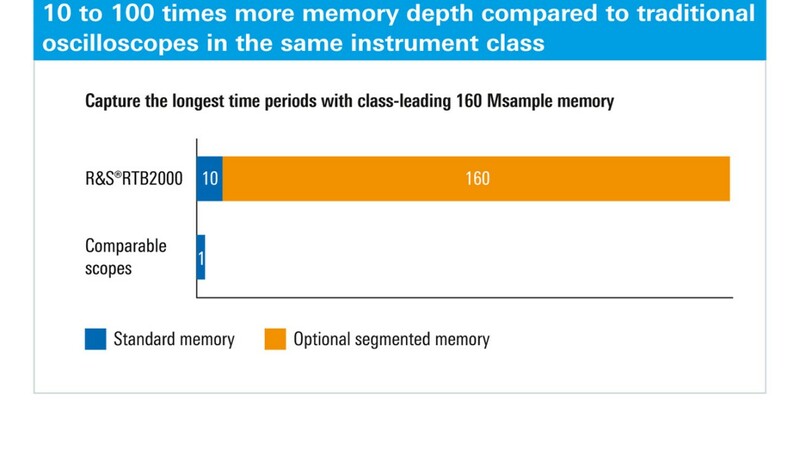 Capture and analyze pulsed and burst signals over a long period with up to 80 Msample standard acquisition memory. The history and segmented memory function is standard of R&S®RTA4000, R&S®RTE and R&S®RTO and optional on R&S®RTB2000, R&S®RTM3000 and R&S®Scope Rider. 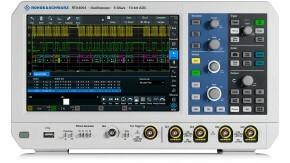 You can scroll through past acquisitions and analyze the data using all oscilloscope tools, e.g. protocol decode and logic channels. 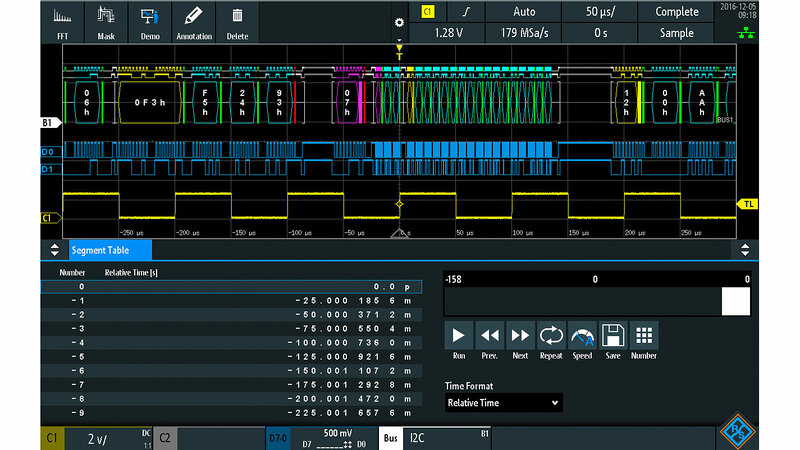 In ultra-segmented mode, waveforms are seamlessly captured before visualization. Serial protocol and pulse sequences are recorded practically without interruptions. In the ultra-segmented mode, the minimum blind time is diminished. 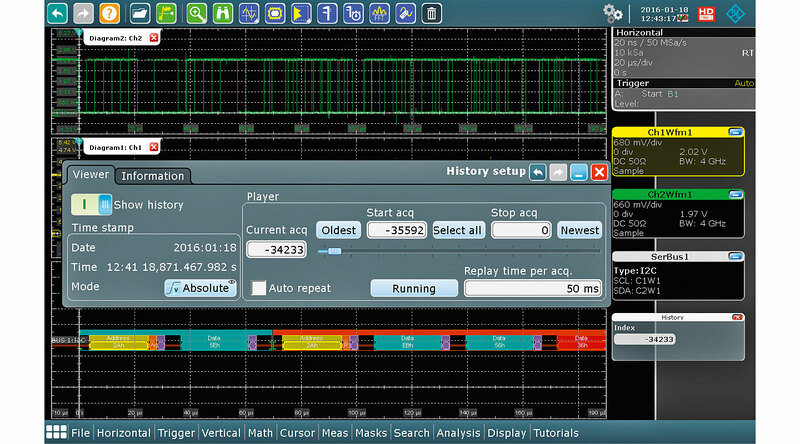 Serial protocol and pulse sequences can be recorded practically without interruptions. 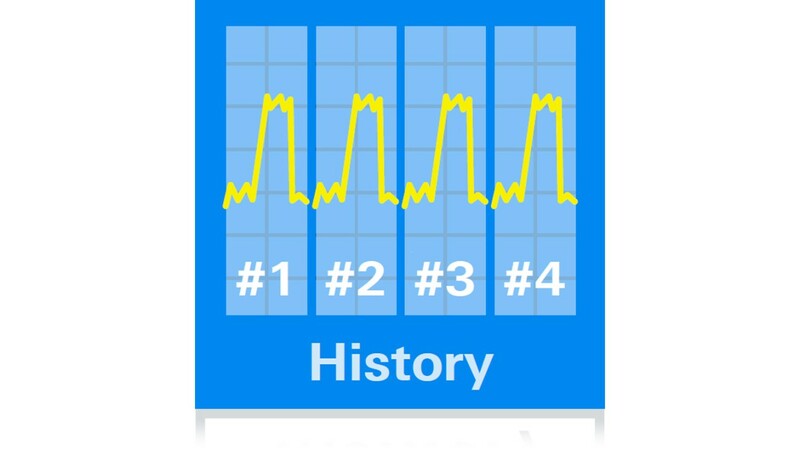 In history mode, users can easily navigate – either manually or automatically – through all recorded segments and reconstruct the history thanks to very precise timestamps. 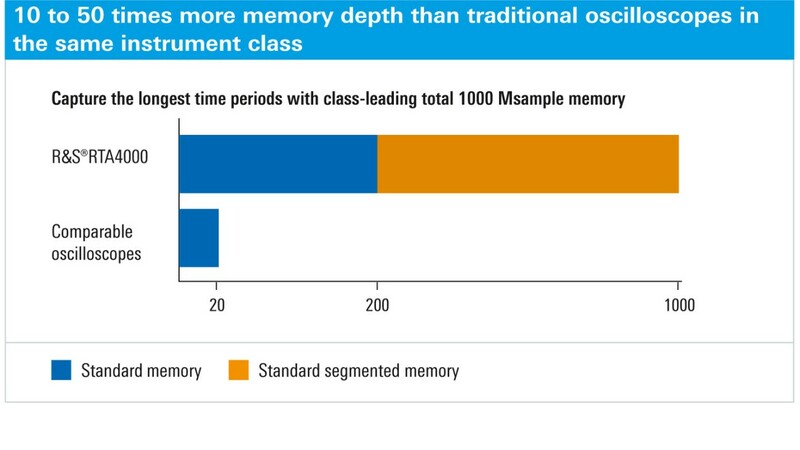 The R&S®RTB2000 offers a class-leading memory depth:10 Msample per channel are available, even 20 Msample in interleaved mode. 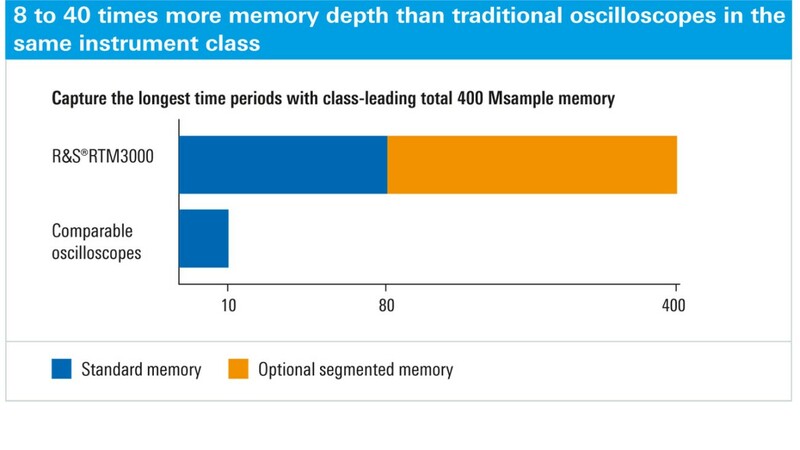 The R&S®RTM3000 offers a class-leading memory depth: 40 Msample per channel are available, even 80 Msample in interleaved mode.